Camping is one of the best ways to explore some of the heavenly destinations of Himachal Pradesh and enjoy its inner beauty. 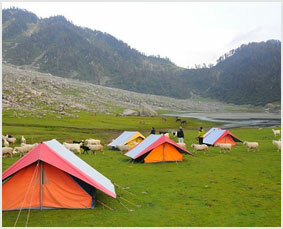 Camping is one of the best ways to explore awe-inspiring natural beauty of the region. The entire hilly state offers once in a lifetime opportunity to travelers to enjoy a stay in the laps of Mother Nature. Ideal for honeymooners, family vacationers, student groups and adventure seekers, camping offers sheer delight to every visitor. Travelers can carry along their own necessities or head on to an array of camps pitched in different parts of the state that offer finest accommodation as well as activities such as nature-tours, hikes, fishing, and rafting. 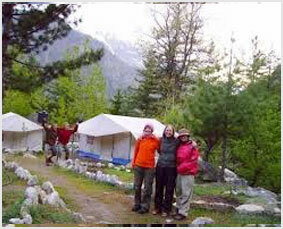 One can also find various private camps at Kinnaur, Lahaul Spiti, Kullu, Dharamshala, Kangra & Shimla. Moreover, Himachal Tourism has set a range of capms at enticing destinations that can be an ultimate retreat for fun-seekers.